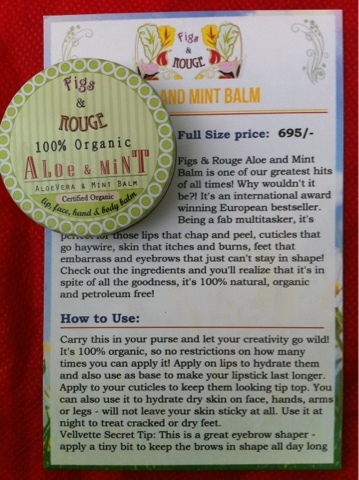 I received Figs & Rouge : Aloe & Mint lip balm as a part of Vellvette box. 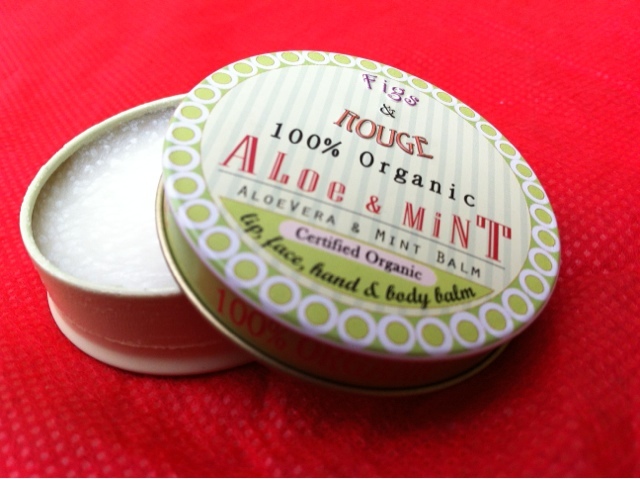 The balm is a white jelly that comes in a round metal box with a beautiful design on the top of the box. 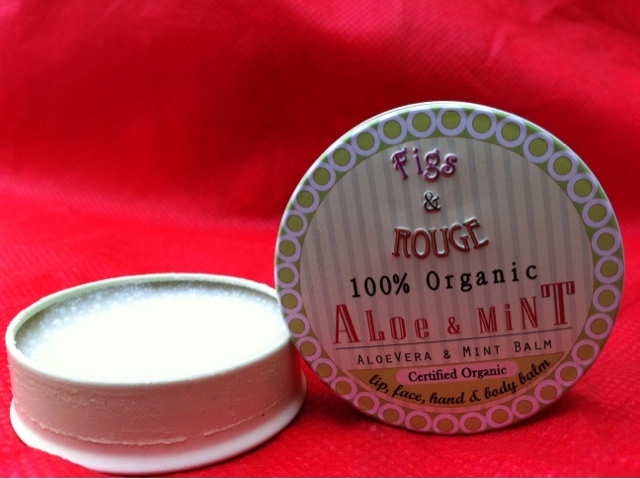 Figs & Rouge claim it to be 100% Organic. I applied the balm on the lips and it easily melts. I could feel the mint cooling after applying. So far, I have tried only on my lips and have not tried on my feet. All the pictures have been clicked under natural light without any photoshop or flash.